The glacier Haute Route route between the two historic mountain centres of Chamonix and Zermatt stretches for 114 miles and there is between 13,000m to 14,000m of ascent and descent taking you through some of the most famous landscapes in the Alps. 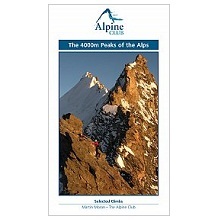 Includes an ascent of Breithorn 4164m on the last day. During the summer months, this glacier trek can be undertaken, led by qualified IFMGA mountain guides, staying in several high mountain huts, such as the stunningly located Bertol hut. 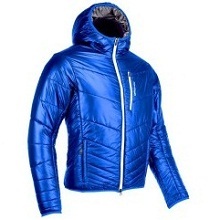 We also offer this during the winter months, where it is undertaken on skis! This summer version is all on foot. Throughout the week you are surrounded by stunning 4000m peaks, and this glacier trek provides a challenge that many people repeat several times during their lives. It will appeal to those wishing to escape the hustle and business of the Alpine valley towns and lift accessed climbing routes. 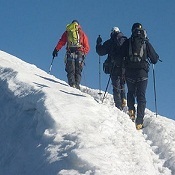 This course is ideal for those seeking a challenging glacier trek, with the opportunity to use some mountaineering techniques, such as an ascent on crampons or an abseil. All roped techniques will be taught during the week, so don't worry if you are a ropework virgin! 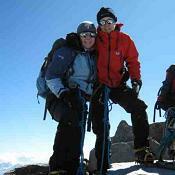 As this glacier trek is continuous, it is quite physically demanding and requires a good level of fitness. Good stamina will make the route easier and more enjoyable as it involves six days of glacier trekking at altitude with a pack, though note the pack should be 35 litres maximum. The accommodation in the mountain huts is half-board throughout, with plentiful three course cooked evening meals and breakfasts each morning. This level of comfort is important, as you will need a good cooked meal after the efforts of each day, and by staying half-board you avoid having to carry stoves or pans. Support and assistance from the Icicle Alpine hosts is included throughout the week for logistics, equipment fitting, and briefings. They will store any luggage that you do not want to take on the route, and meet you after the tour to return it for your travel home. 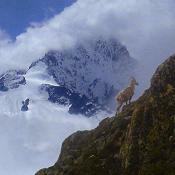 The trek involves 7 days of guiding on a 1:6 ratio, and is a 9 day holiday in total. 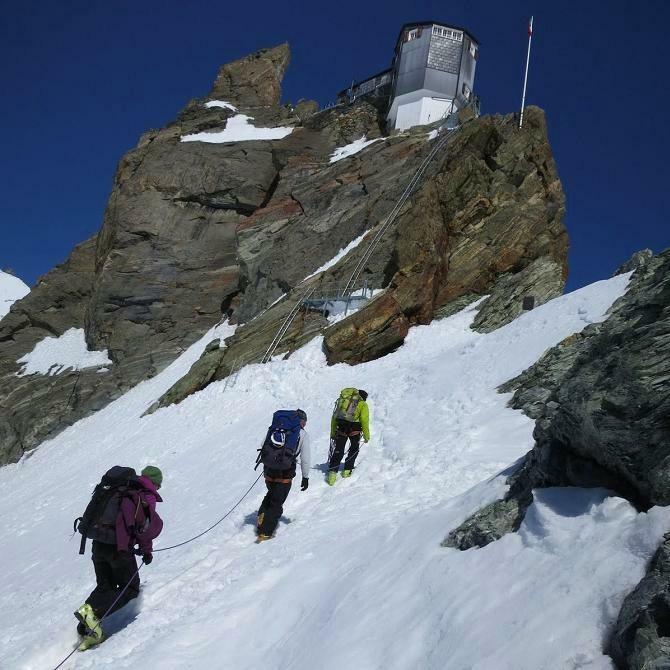 Some opt to extend their trip by a day in order to climb a 4000m peak such as Mont Blanc du Tacul above Chamonix, or a more technical route such as Cosmiques Arete. Either of these options are day routes, with a 1:2 guiding ratio. Starting in Chamonix, France, you traverse by ski the spectacular high mountain route to Zermatt, Switzerland. By staying each night in comfortable mountain refuges, set high in the mountains, this course will appeal to those who want to spend a week in amazing mountain scenery. Note that the Haute Route has many variations, and that it is often essential to alter itineraries often to cater for weather, fitness, hut spaces and conditions. Travel to Chamonix to arrive for the 17:00 check-in followed by and course safety and itinerary briefings. There is time for kit checks or rental of equipment, and the guide who is leading you normally comes to say hello and to talk you through the route on the map. 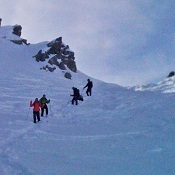 Briefings are over by 19:00 and the Chamonix hosts accompany the group to pre-dinner drinks. Some clients opt to travel out a day or two early to get their hill legs back. Before you go to bed, pack your bag for the week ahead. Night in Chamonix. Meet with your guide, and after bag checks, you travel up the valley to Le Tour 1453m, and take the cable car to Col de Balme 2180m. Here you start the hike up to reach the Albert Premier hut 2705m, situated on the moraines above the Le Tour glacier. 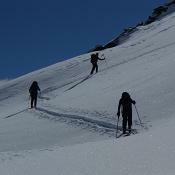 After stopping at the hut, to allow you time for lunch, you descend onto the glacier for some crampon training. The glacier training takes a few hours, and then return to the Albert Premier, where you stay the night, for an early start the next day. Height: +525 m, -0m. Early start to ascend the Le Tour glacier and to traverse over the Col du Tour 3289m. Here you cross the border into Switzerland. As you cross the Trient Glacier, you are rewarded with amazing views across to the Aiguille du Tour and Aiguilles Dorées. On the far side of the high glacier plateau, you start descending the Orny Glacier past two mountain huts. Leaving the glaciers behind, you reach the path to the Breya chairlift, where you descend to Champex. The night is spent in a mountain gîte. Height: +584m, -1101m. Another early start to take a transfer to the Chanrion hut 2462m. Here starts a tough day crossing four high passes; Col du Tuofeiret 2642m, Col de la Lire Rose 3115m, Col du Mont Rouge 3395m, and the Col de Cheilon 3243m. The trails between the glaciers are remote and rarely trekked, so you are likely to see Edelweiss flowers and the Ibex mountain goats today. After crossing the Giétroz and Cheilon glaciers, you finally arrive at the Cabane des Dix 2928m, where you stay for the night. Height: +933m, -467m. Alpine start from the Cabane des Dix to ascend the Tsena Réfien Glacier, which eventually leads you to the highest peak you ascend on the glacier trek; the Pigne dArolla 3796 m. The summit vista is unrivalled, and you see down the length of the Dix lake. After taking in the views, you descend onto the Vuibe Glacier, and continue onwards to reach the Cabane des Vignettes 3157m. The hut is the highest you will have stayed in so far, so the ascent today will have acclimatised you well for this. Height: +868m, -639m. Today involves two steady climbs, and one descent. You start ascending to the high Evêque pass 3392m, then descend down to the Arolla Glacier, where you ascend first to the Plan Bertol 2665m, then upwards until you finally reach the Bertol hut 3311m. Upon arriving beneath the hut, you are faced with a series of ladders and cables to ascend to reach the hut that is perched on the top of the ridge, in an amazing location. Night is spent in the Bertol Hut, and is your last night in the mountains. Height: +881m, -727 m.
Today is the longest day of the whole trek. A final Alpine start is requires to set off early to reach the summit of the Tête Blanche 3707m, and the North Face of the Matterhorn is right in front of you. 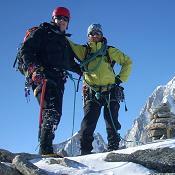 Needless to say, this stunning backdrop is featured in many photos from groups on the Tête Blanche. From here you make the long descent of the Stockji glacier to reach the Schonbiel hut. The trek follows the moraine then scenic paths to Zermatt 1620m. Night is spent room only in a lodge in Zermatt. Height: +413m, -2087m. Walk across Zermatt to catch the cable car to the Klein Matterhorn 3883m. Ahead of you is the summit of the Breithorn 4164m. The ascent to the summit provides you the opportunity of the first 4000m peak during the week, and is graded PD. From the summit ridge, there is a stunning view back to the Matterhorn. 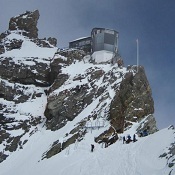 Return by the same route, and descend to Zermatt 1620m in the cable car. Walk across town and take the train to Tasch, then transfer back to Chamonix, where you spend the final night. Height: +281m, -281m. Breakfast then the accommodation check out is by 10:00. Most arrange their airport transfers to leave around this time, to catch a flight from Geneva about midday. Depart for home. Some people opt to book a tandem paraglider flight in the morning c.1000€. Standard Course Inclusions: 1) IFMGA Mountain Guides for seven days, 2) Chamonix course hosts for logistics & briefings, 3) Pre course information booklet, 4) Equipment discount voucher for UK shops, 5) Two nights B&B accommodation in Chamonix (inc. bedding & towels), 6) Six nights accommodation in mountain huts / lodges (5 nights half board including three course cooked evening meals, and 1 night in Zermatt on a room only basis), 7) Preferential rates on kit hire, 8) Free 36 page technical Course Instruction Booklet, 9) Transport to Le Tour. 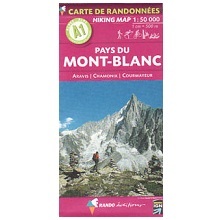 Exclusions: 1) Travel to and from Chamonix, 2) Cable cars for you and guide (c.60€pp), 3) Equipment hire, 4) Personal laundry, telephone calls, lunches, & any purchases in mountain huts / hotels / restaurants, 5) Road transport outside Chamonix valley (Champex-Chanrion c.30€pp based on six) and Zermatt / Tasch - Chamonix (c.60€pp based on six), 6) Last night celebratory meal & drinks, 7) Activities insurance, & excess baggage charges. 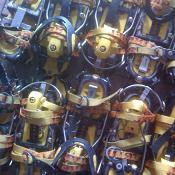 Group sizes: 3 - 6 people per IFMGA mountain guide. For group sizes of over 6 people, there are multiple guides, and the teams travel independently of each other. Glacier trekking is gaining popularity, amongst those who enjoy trekking, and who wish to push more into the high mountain environment, without feeling the need or desire to climb exposed or techical peaks. On most days of this trek, you are walking on glaciers, and so wear a safety harness, to link everyone onto a rope which is attached to the guide. 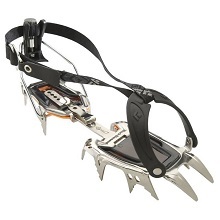 The rope is there to protect you from any falls on steeper ground, and to cross snow bridges over crevasses safely. No previous climbing skills are required for this style of trek, but it appeals to the type of trekker who has maybe climbed Mount Toubkal in Winter, or who has hiked up Kilimanjaro. 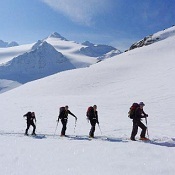 Glacier trekking is adventurous trekking, rather than actual climbing, and it gives you great access into the mountains, using the glaciers as the path of least resistance between the mightly Alpine peaks.